How would you like to support Wisconsin Public Television and get a great deal on Personal Training with yours truly? 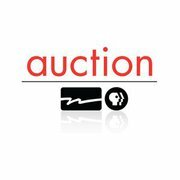 Then be sure to check out the Wisconsin Public Television Online Auction. I have donated a 5 session training package. It can be redeemed as face-to-face workouts, webcam workouts or phone consultations. This year, the WPT Auction will be conducted entirely online from May 1-14 with new items being added daily. So check back often! Heather did it again. 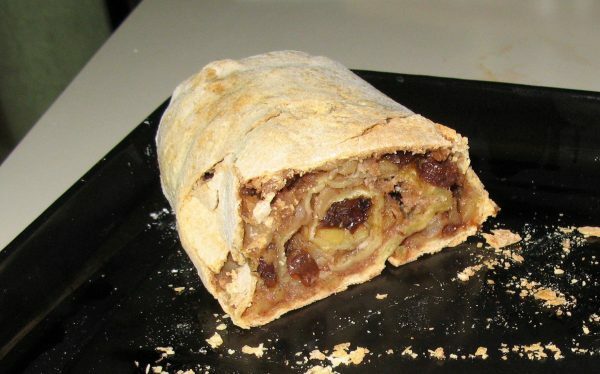 She took an Apple Strudel dessert recipe from License to Cook Wisconsin Style and made it healthier. And guess what? It turned out great! Here’s the adapted version. Enjoy! Mix egg yolks and water. Gradually add flour until dough can be kneaded. Knead dough until smooth and elastic. (The original recipe for the dough called for 2 tablespoons of butter, which we left out. So we had to add a little extra water.) Place dough in covered bowl in a warm place for about one hour. Allowing dough to set makes it roll out easily. Combine all filling ingredients in a bowl and toss together. On a lightly floured surface, roll dough out as thin as possible to a square/rectangular shape. Spread the filling. Roll up loosely, jellyroll fashion. Brush with soft butter. Place on a greased baking sheet or into greased loaf pans and bake at 350 degrees F for one hour. Welcome to winter, where the days are short and chilly. As a matter of fact, it’s currently 29 degrees F outside with clear skies. Our snow-covered fields and woods make for beautiful scenery. Did you know that January is the coldest month of the year in Wisconsin? It’s when temperatures drop and the lakes freeze. How’s this for a segue? Speaking of “cooling down”, what are you doing to cool down at the end of your workout? More and more, people are understanding and benefiting from cooling down after exercise. And, no, I didn’t forget that warming up is vital too. But I’ll save that for another blog. The next question is, what should you do to cool down? That all depends on the type(s) of workouts you’re doing, your physical abilities and what your goals are. Your activities might be at the gym (weight lifting, pilates, cardio, etc), on the road (running, walking, cycling), on a court (tennis, basketball, volleyball), field (soccer, lacrosse), pool (swimming, diving, water polo), trail (biking, hiking, running, snow shoeing, cross country skiing), ice rink (hockey, figure skating, curling) or slopes (skiing, snowboarding). And these are just a few off the top of my head. For simplicity sake, I will talk about strength training at the gym. Of course, there are multiple disciplines and approaches to strength training. Heavy weights versus light weights. Low reps versus high reps. Full body versus individual bodyparts. Volume training. Free weights versus exercise machines. Stretch cords versus body weight exercises. Plyometrics, etc. What did I leave out? Answer: Intensity. Intensity is the key ingredient. I firmly believe that how hard you push yourself during your workout is crucial to how much and what type(s) of cool down you do. If your workout, for example, is at 50% maximum intensity, you may not need to do any cool down. Why? Your heart rate and blood pressure are not elevated, there is little to no lactic acid built up in your muscles and you still have a lot of gas left in your tank. Let me interrupt myself by saying that training at 50% intensity is NOT a waste of time. Over the years, I have been asked if going through the motions of a workout was worth doing if you weren’t grinding molar dust or throwing up. I have always answered YES. Remember it’s all about movement. Strength, flexibility, aerobic fitness, coordination and balance can be achieved in a 30-minute workout or a light weight-lifting session. Your workouts SHOULD NOT and DO NOT need to be at 100% intensity all the time. That’s how you get injured. Just remember that professional athletes have seasons and try to “peak” at the right time. Their goal is to stay injury free until the finals or championships. You have an even harder job since you are training for health and fitness, which is 365 days a year. Knowing what type(s) of cool down you should do has everything to do with how well you know yourself. What does your body like? What does it respond well to? This takes time, patience and experimentation. Even after 30+ years of working out, I am still figuring things out. Why? My body is changing. It’s not the same machine as it was 20 years ago. I have different goals and interests. I don’t do the same sports. You need to take those things into account. If you are 55, you shouldn’t compare yourself to when you were 25. Granted, you might be in better shape now than you were then, but you understand what I’m trying to say. 1. Light Cardio (ie: walking, recumbent bicycle, elliptical). During a high intensity workout, your heart rate and blood pressure are sky rocketing. If you go straight to the locker room or to your car when you’re done, you might get light-headed or dizzy once you sit down. An easy walk on the treadmill gives your body time to slow down and let your muscles relax. 2. Stretch (static, dynamic, PNF, passive, active, assisted). When you have a stiff upper back or tightness in your shoulders blades after sitting for too long, what do you do? Many people turn, twist or roll their heads to loosen up their neck. For their shoulders they might pull one arm across their body or reach behind them. Guess what they are doing? Stretching. It comes naturally and is a great way to cool down after an intense workout. There are many different stretching techniques. My suggestion is to try them all and see what you like. As an aside, when I was in college, I remember guys in my dorm who would work out at the campus gym so they could get “pumped up” to go out to the clubs later that night. The funny things is that the “pump” isn’t sustained for more than a short time after your workout. These same guys would complain about muscle soreness the next day. Perhaps it was that they were lifting heavier than they should or got dehydrated from all of the alcohol they consumed. Either way, they left the gym without stretching and helping their muscles relax. 3. 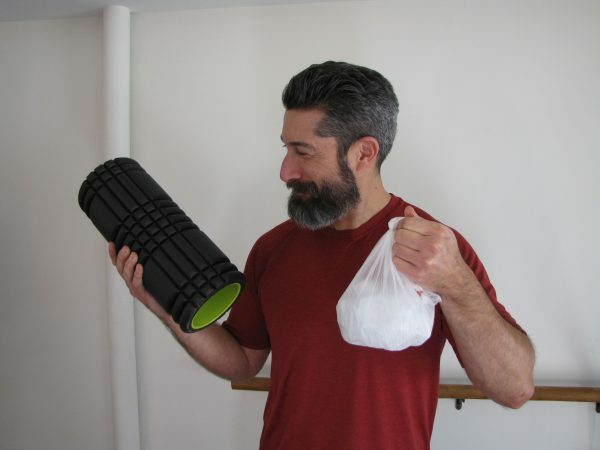 Massage Balls, Foam Roller, Massage stick. The first time I heard about a massage ball was from a client who I trained in Redondo Beach, California. I trained Laura in her home once to twice a week for several years. Before one of her workouts, she complained about her low back and said “I’ll be right back. I need to grab my balls.” Wait! What?! A moment later, she left the garage and went inside her home. She came out with two blue racquet balls that were taped together. She set them on the ground and proceeded to lie on them face up so they were positioned on her low back. She moved up and down, letting the balls massage her sacrum and paraspinals. A couple minutes later, she got up and said she felt much better. So unless your massage therapist is waiting for you right when you get done from working out, using massage balls, stick and foam rollers are excellent substitutes. 4. Sauna, Hot Tub, Hot Shower. Not to be a contrarian, but saunas and hot tubs have never felt good to me after working out. I have tried them before and have felt overheated, tired and depleted. And, yes, I was in there for just a few minutes. Some people say they feel their muscles relax and unwind and that it stimulates healing. If that’s your experience, then I say to stick with it. What works for someone may not work for someone else. 5. Ice Bath, Ice Pack or Cold Shower. Cold helps to reduce swelling and inflammation, thereby reducing muscle soreness. I have never sat in an ice bath before but I have used ice packs and taken cold showers. A cold shower feels good to me. It tells my body that I am done working out. Time to slow down, stop sweating, relax. Just be mindful when using ice. 5-10 minutes maximum. Too much time on the skin and ice may cause frostbite. * Remember, that NO amount of stretching, icing or rolling will prevent injuries and/or improve workout performance IF you are not also getting proper nutrition, hydration, rest and sleep. Always look at the big picture when it comes to health and fitness. It’s not about one specific exercise or one food item or one cool down technique. Take the time to find what works for you and stick with it. 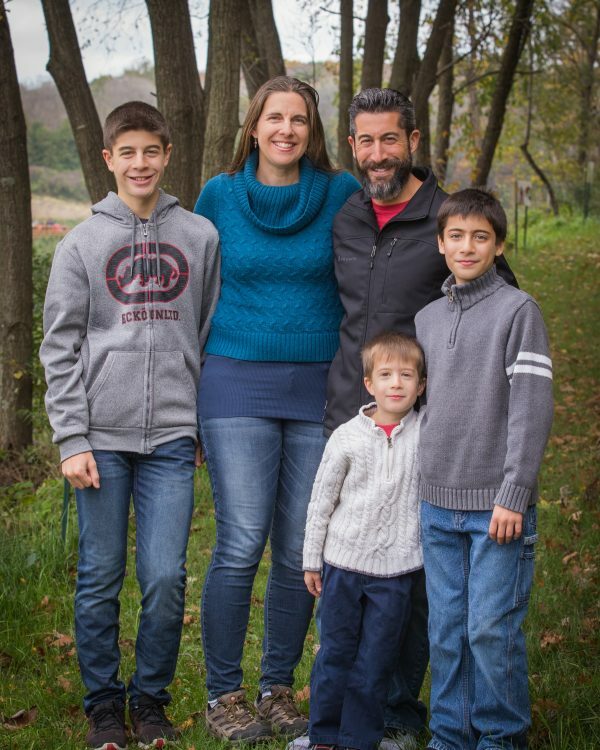 photo by Natalie Senecal of Oh Shoot Photos. What did you do with your leftover turkey from Thanksgiving? Have a second helping? Freeze it? Or did you say “what leftovers”? 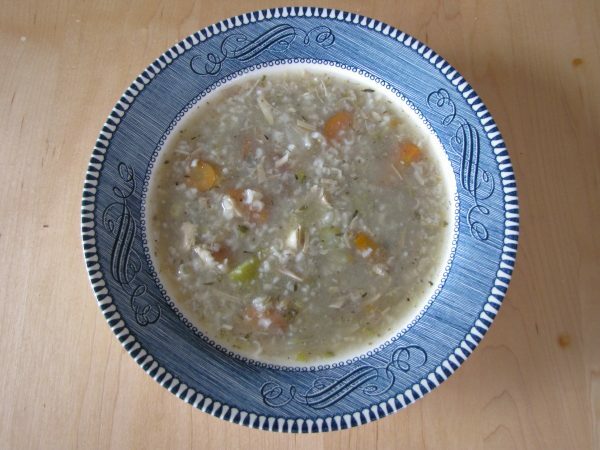 This Thanksgiving I already had two leftover turkey dishes in mind: Turkey Salad Sandwiches and Turkey Rice & Vegetable Soup. Both turned out awesome! Why? As in the last few years, I prepared the turkey in a crockpot. A crockpot? Yes. The turkey is easy to prepare, requires no basting, easy to clean up and most of all the meat was moist and delicious. No dry white meat. And in case you are wondering, our crockpot is 8 quarts and snugly fit an 11-pound turkey. That was plenty for our family. Second, the broth/stock that came out of the crockpot was incredible. Better than anything from a can and not as salty. All this talk about food is making me hungry. So here are the two recipes to check out. Enjoy! 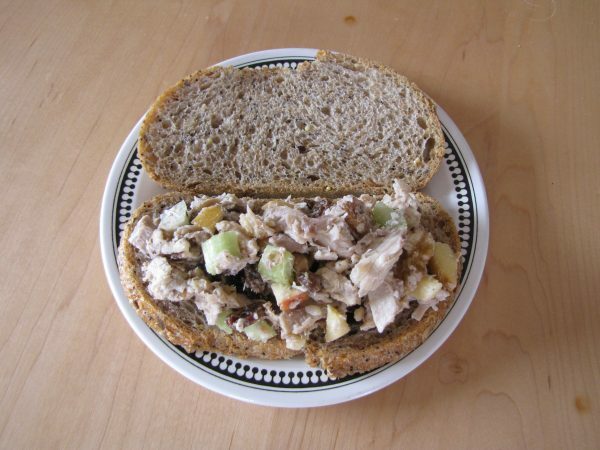 In a large bowl, add the turkey, raisins, diced apple, lemon juice and celery. Mix well. Spread the shelled walnuts evenly on a cutting board. Using a glass, metal or ceramic bowl, crush the walnuts. Be sure to press the bowl down at a slight angle away from you. Why do I crush the walnuts? To make them into smaller bite sizes and to extract a little oil. This will add to the creaminess of the turkey salad. Next add the walnuts, mayonnaise and yogurt. Mix thoroughly. Why did I add both mayonnaise and yogurt? I ran out of mayonnaise. Plus I feel that yogurt gives it a fresher and brighter taste. Your turkey salad is ready to enjoy. Place a large pot on the stove top and set heat to medium-high. Add olive oil, onions and garlic. Saute for about 1 minute. Next add the celery and carrots. Cook for about 5 five minutes, mixing frequently. Add turkey, spices, stock and water. FYI my stock was super concentrated, very gelatinous and flavorful. So depending on your palette you may want to add more or less water at this point. This will also affect the consistency of the soup. Bring to boil. Once boiling, add rice, lower heat to simmer and cover with lid. I let it simmer for about 90 minutes. The rice broke down more than I wanted to, but all in all I thought it was a success. Middleton Co-op’s September/October publication has some great coupons and recipe ideas. Their Autumn Harvest Pizza was a definite winner. This past Sunday, Heather and Bruce rolled up their sleeves, tossed some dough and baked up a nice pizza pie. As always, changes were made to the recipe to suit our palettes and what ingredients were available. And guess what? It turned out great! As a matter of fact, our two older boys, Kyle and Bruce, said it was better than any take-out pizza they had before. The original recipe called for a pre-baked crust. 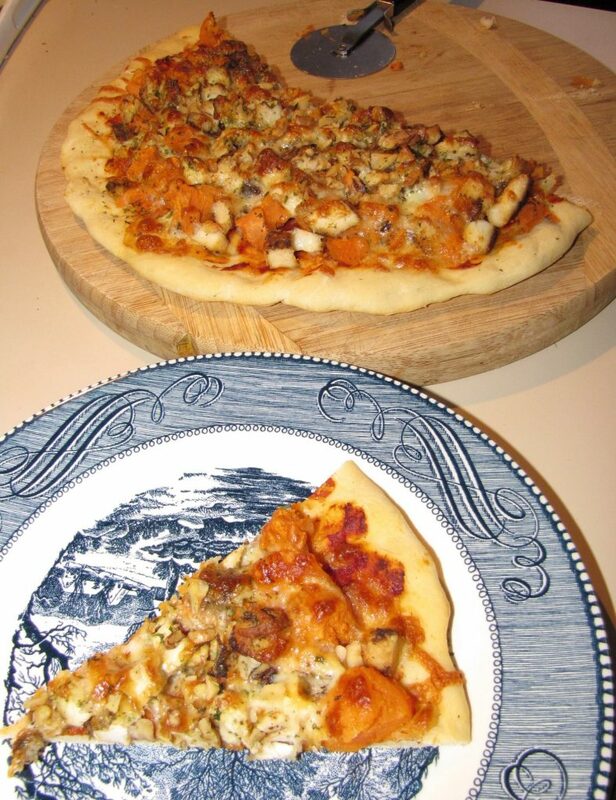 Instead Heather and Bruce followed a pizza crust recipe from Food Network’s Tyler Florence. Preheat oven to 425 degrees F. Into a small bowl, mix tomato paste and 1 tablespoon of Italian spices. Place pizza crust on a sheet pan and spread tomato paste mixture evenly on the crust. (We did not want it to be dry.) Next top the crust with chopped chicken and cover with mozzarella, walnuts and parsley. Bake for 20 minutes. Just a reminder, every oven is different so be sure to check that the cheese is bubbling and crust is crisp. Slice and ready to serve. Total prep time approximately 1 hour. How would you like to spend less time working and still get in awesome shape? How would you like to stay active every day and remain injury free? How would you like to eat healthier foods and spend less money than you are right now? Then watch my 14-minute video and learn how to do more and get more with less. Can you say delicious? This was a spur of the moment creation. 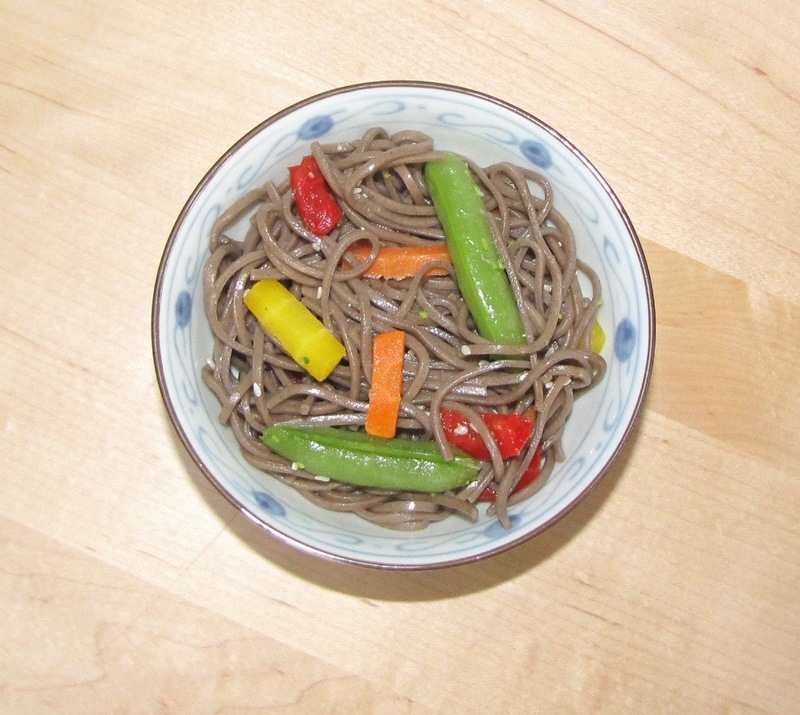 I referred to the recipe on the back of the noodle package and also borrowed ideas from a few soba noodle recipes online. As always, I modified the recipe to suit my family’s tastes as well as what ingredients we had in our kitchen. Made for a light and tasty side dish. Enjoy! Heat 4-5 quarts of water in large pot. Once boiling, add noodles and cook according to package directions. I like my noodles to have a little more chew to them, so I cooked them al dente. Noodles were then drained in a strainer and rinsed under cold water. Heat peanut oil in a saute pan on medium-high heat. Once oil is hot, add the chopped red bell peppers and yellow and orange diced carrots. Stir frequently for 1-2 minutes. Then add snow peas. Continue to stir and cook for approximately one more minute. Remove skillet from heat and plate vegetables to stop cooking process. In a small bowl mix together the vinegar, ginger powder, honey and sesame oil until combined. Slowly whisk in the peanut oil until the dressing is emulsified. In a large bowl add the noodles, carrots, peppers and snow peas. 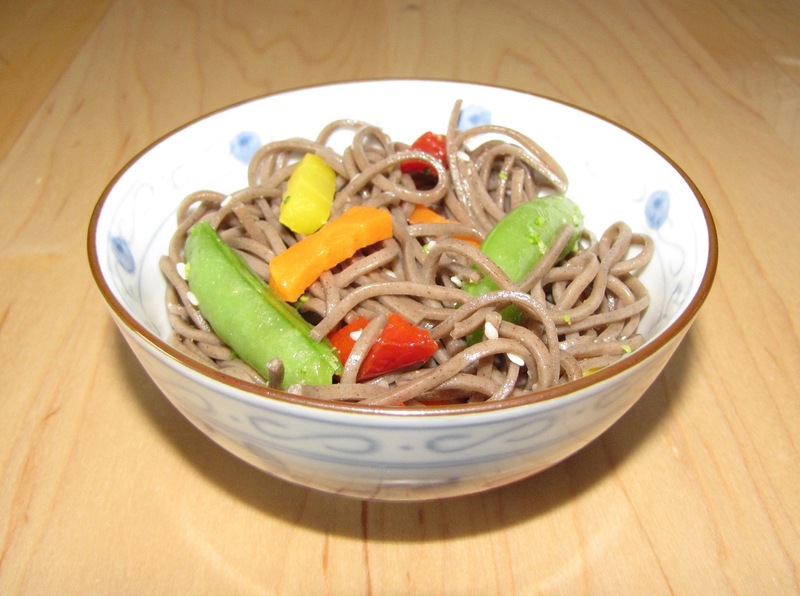 Pour sauce over noodles and vegetables and gently mix to combine. Garnish with toasted sesame seeds. Ready to serve and eat. Strengthening Your Core with a Twist. Gone are the days of old fashioned sit ups. They have been replaced with safer, more effective and creative exercises like pelvic tilts, forearm planks, bridges and knee pull-ins. But don’t forget your abdominal rotation exercises. These are crucial in developing a strong core. Do you know how many muscles you use to do a rotation? 1? 2? 3? Now add to that all of the upper and lower body muscles you use when picking up a box, for example, and turn to put it on a shelf. Your core is made up of numerous overlaying and underlaying muscles that go in different directions. Why? So you can do a variety of movements and be protected. To see detailed illustrations of muscle anatomy check out anatomybodydiagram.com. Here are three of my favorite rotation exercises. Enjoy! If you don’t have a barbell, try using a broom stick or pole. If you are uncomfortable lying on the floor, use a mat or lie on your bed. If you don’t have access to a cable machine, you can use bands or tubing.